Hello sir , I want to get previous year Assignment exam paper of Acharya Nagarjuna University , For it Will you please provide me same , As I want to appear this exam ?? 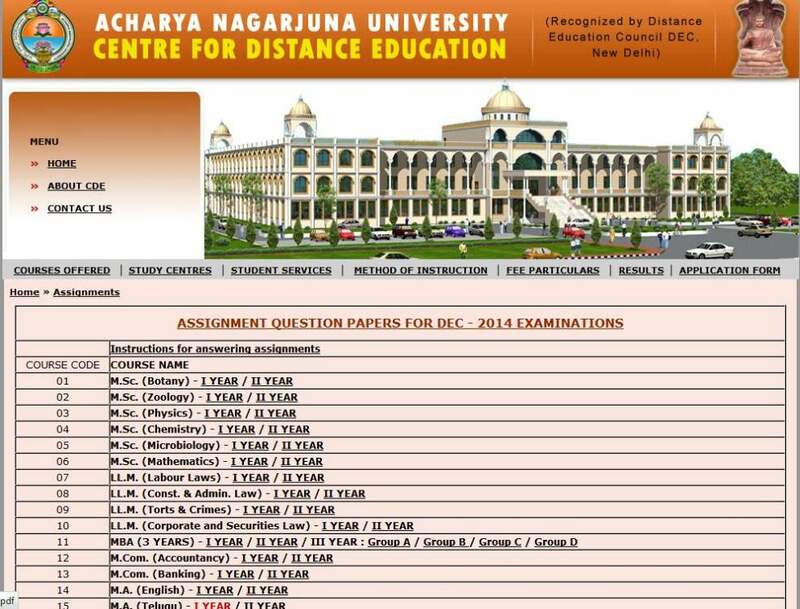 :On your demand , Here I am providing previous year Assignment exam paper of Acharya Nagarjuna University , As you want to get ? 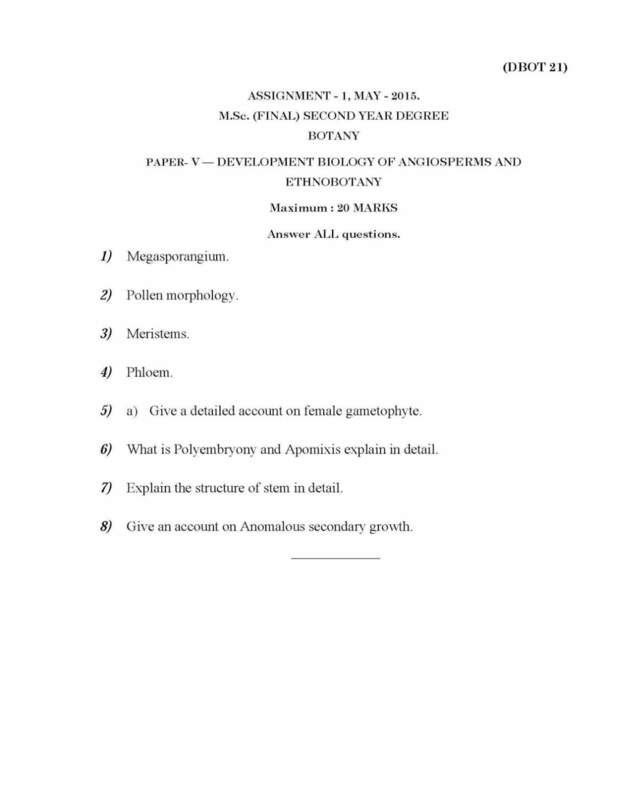 5) a) Give a detailed account on female gametophyte. 6) What is Polyembryony and Apomixis explain in detail. 7) Explain the structure of stem in detail. 8) Give an account on Anomalous secondary growth. 2) Conservation of Sacred groves. 3) Significance of Ethnobotanical research. 5) Define Sacred grove and how it is conserved. 6) Explain scope and history of traditional medicine in India. 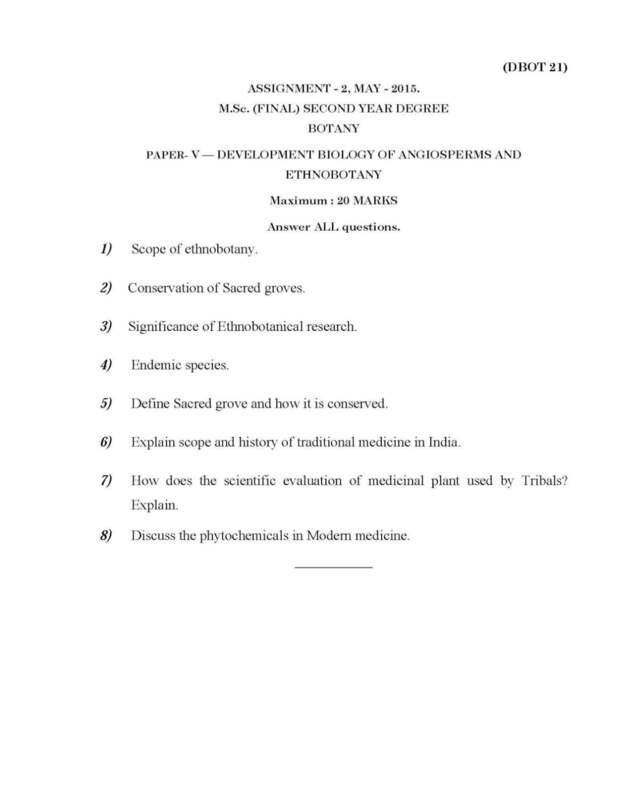 7) How does the scientific evaluation of medicinal plant used by Tribals? 8) Discuss the phytochemicals in Modern medicine. 5) a) Explain the role of Bacteria in Carbon and Nitrogen cycle. 6) General account on Basidiomycotina. 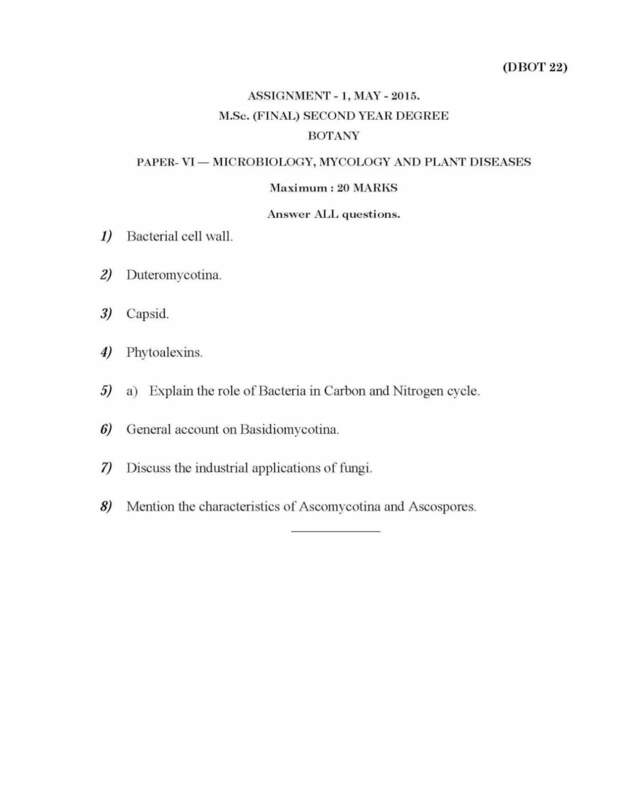 7) Discuss the industrial applications of fungi. 8) Mention the characteristics of Ascomycotina and Ascospores. 1) Blast disease of Rice. 4) Brown rot of Potato. 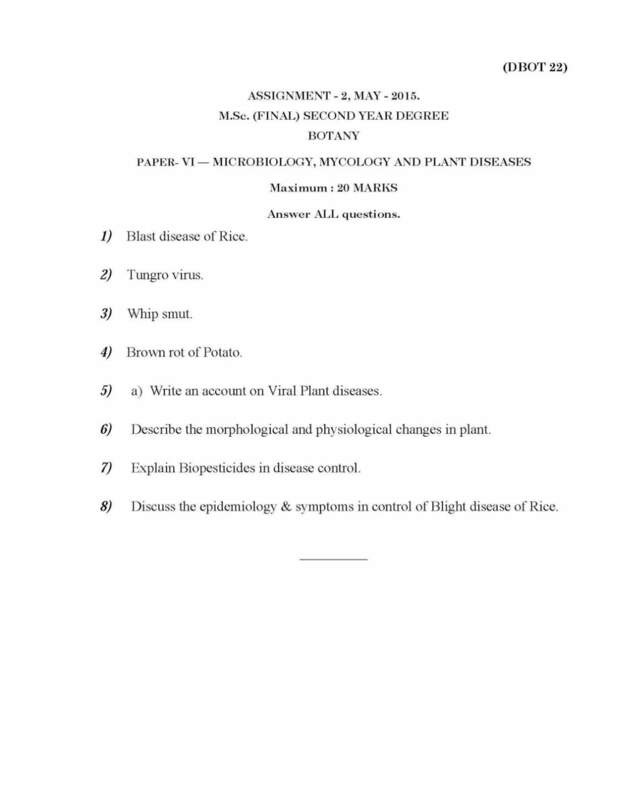 5) a) Write an account on Viral Plant diseases. 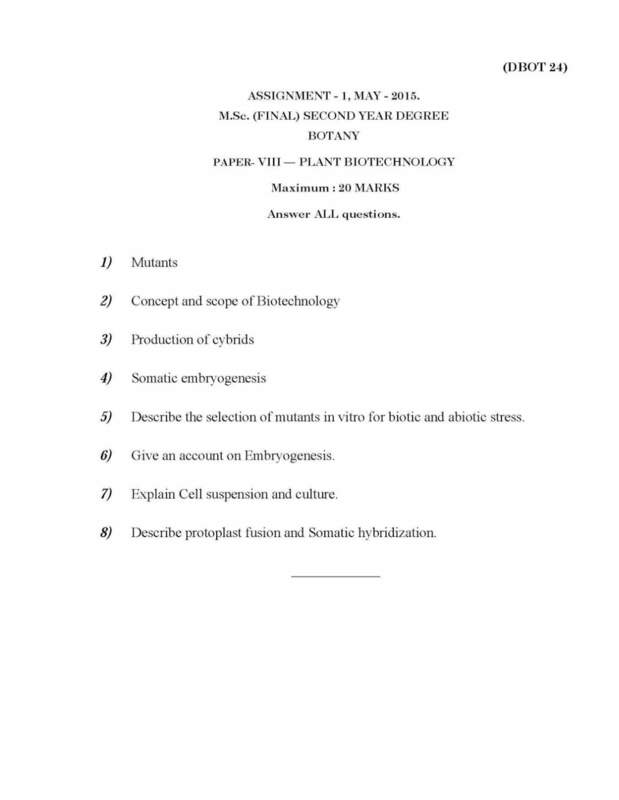 6) Describe the morphological and physiological changes in plant. 7) Explain Biopesticides in disease control. 8) Discuss the epidemiology & symptoms in control of Blight disease of Rice. 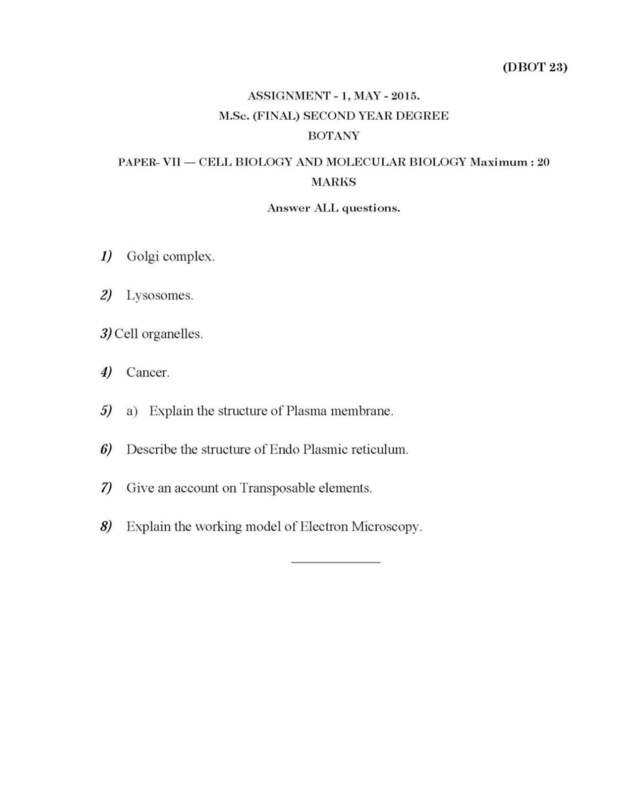 5) a) Explain the structure of Plasma membrane. 6) Describe the structure of Endo Plasmic reticulum. 7) Give an account on Transposable elements. 8) Explain the working model of Electron Microscopy. 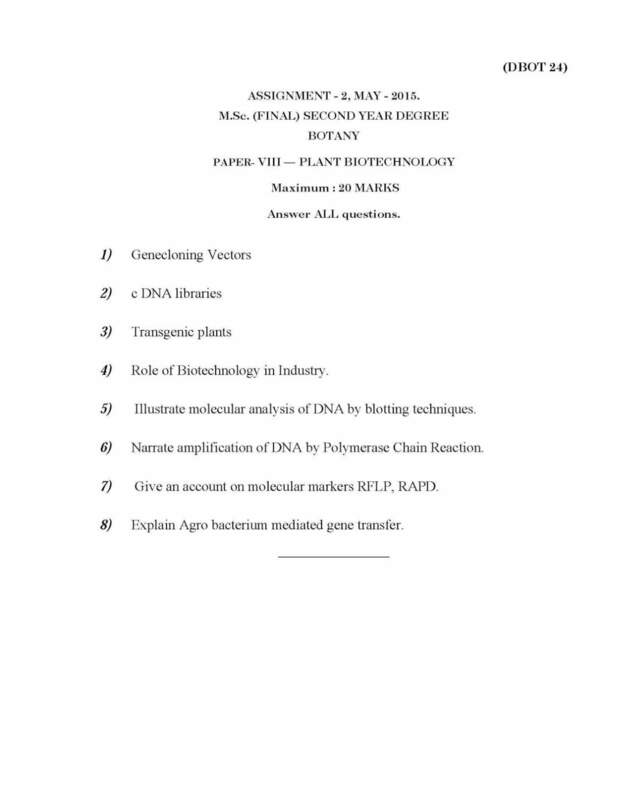 5) Describe DNA as genetic material. 6) Illustrate the genetics of Bacteria. 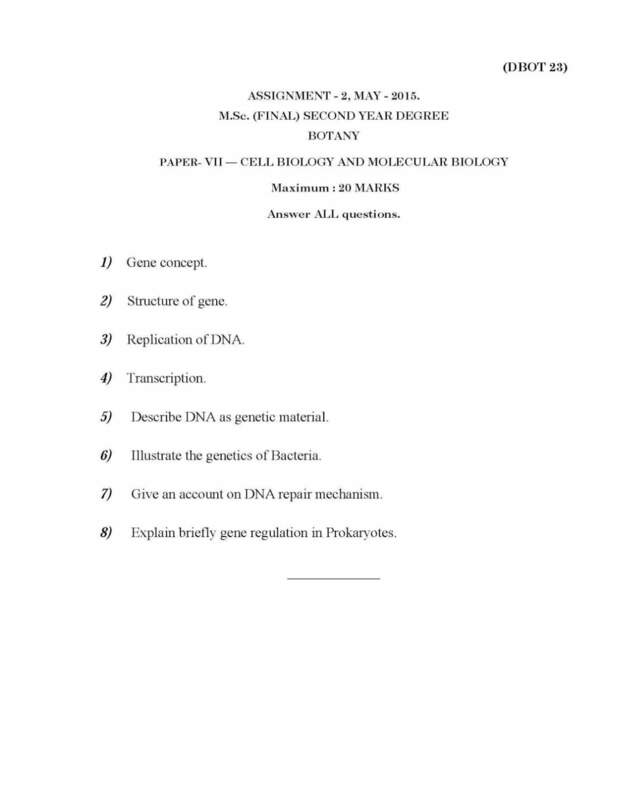 7) Give an account on DNA repair mechanism. 8) Explain briefly gene regulation in Prokaryotes. Sir, iam radha krishna with hall ticket no:A13BA 018052. My requet is i don't know i passed or not.how can i get three years summerised marks memo.because i felt my degree is completed.i submited assignments with late fine also.plese send me the information.